The practice of meditation is recognized to bring benefits to our health. It has a positive impact on stress and depression. During my first sessions of guided meditations, I felt a great discomfort in keeping quiet without moving or doing anything. My mind did not understand what I was doing there, trying to put it aside. It took me a little rigor and perseverance to return to my sessions. I am happy today to have persevered. As sessions progressed, I realized that I was more and more relaxed. The ideas that assailed me were always present, but I managed to pass them without getting hooked. Whatever kind of meditation you want to practice, guided, contemplative, active, mindful or with sung mantras. Give yourself time to practice a few times before taking stock. Meditation is not complicated, it requires little time and can be practiced anywhere. It is a gentle therapy that allows you to become aware of yourself and take care of us simply. I offer 10 tips for setting up meditation in your life. You can quickly put them into practice and they will help you persevere. Set yourself 5 to 10 minutes a day to start with the meditation. You can integrate it into your morning program. There is no point in setting the bar too high . Start step by step and allow yourself time. You can increase the meditation time when you have practiced for a few weeks. 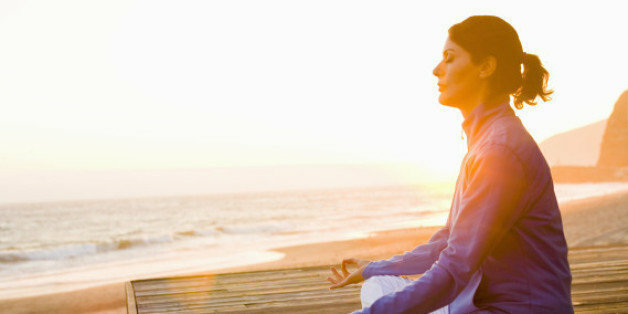 If you follow a guided meditation, choose one that is about 10 minutes long and inspires you. If you simply meditate, set a timer for 5 or 10 minutes. He will tell you the end of the meditation. When you have found the best place for you, plan this place to your liking. Your motivation will be increased. You are in your favorite place, you are calm! … Relax, make some gentle movements of the body, head movements on the sides, stretch, take some deep breaths. When you are meditating it is vital that you sit with good posture. Otherwise, you will find that your knees and back hurt while meditating. Intentions are paramount in all developments. Set yourself a positive intention will allow you to create a positive lever for successful meditation. By focusing on this positive intention, it is also your day that will be transformed positively. To be at your best and not be distracted by neighboring movements, I advise you to close your eyes. It will be easier to come back to yourself. Always with your eyes closed, focus on your breathing. On the air coming in and coming out of your nostrils. If ideas cross your mind, return to your breath. Inevitably you will have thoughts that will disturb you, it’s perfectly normal!Meditation is NOT to have no thoughts, but to let your thoughts pass without clinging to it ! Let them fly like clouds in the sky. It’s also called letting go. Gently move your limbs, hands, legs before opening your eyes. Take a moment to feel the beneficial effects on your heartbeat, on your relaxation. And most importantly, thank you for this privileged moment that you have just offered. If you are holding a journal bullet, write a few lines next to your day’s meditation activity. No need to write a novel, write a few words about what you felt in this meditation. All you have to do is sweep away your excuses and get started! I wish you to feel the benefits as I have been living for a few years. Good meditation to you all!